Donna Brazile, former director of the DNC, addressed the Imran Awan scandal that rocked the House Democrats. Ms. Brazile says that the Democrats and Debbie Wasserman Schultz made a mistake by not properly vetting their IT team. If they had looked into the background of Awan, there was enough in the way of police records to make him a high-security risk. In spite of all the red flags, 44 Democrats waived background checks on Pakistani-born Imran Awan. In a Sept. 20, 2016 report by the House IG, Awan’s group of IT workers were logging into servers of House members they didn’t work for. They were logging in using Congress members’ accounts in a manner that suggested nefarious purposes. Former Democratic National Committee chair Donna Brazile said Democrats should have worked harder to vet former congressional aide Imran Awan before he was granted access to the House information technology network. “I would I hope that before director [Robert] Mueller finishes his investigation we get to the bottom of it. We know that there was Russian interference in our election system. I want to figure out who committed this crime and they should be brought to justice,” Brazile added. 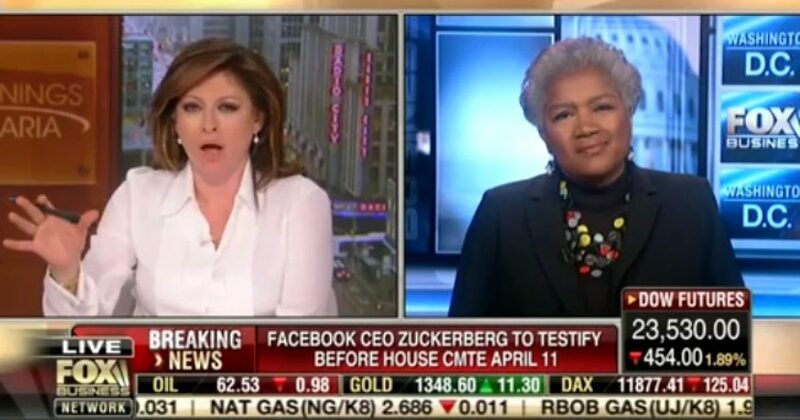 Host Maria Bartiromo clarified special counsel Mueller’s Russia investigation is a separate case from the Awan brothers and asked Brazile if she ever worked directly with Iwan.